Today is the 15-year anniversary of one of those Ryan Adams records I sure wish I liked better than I do, Gold. This is the album that was supposed to rocket him to the toppermost of the poppermost back in 2001; and while it didn’t quite accomplish that, it remains his commercial high-water mark. Having written tons and tons about this album over the years, including here as well as Chapter 13 of “Losering,” I don’t feel the need to rehash it all again one more time. But Ryan’s take on Gold and that time of his life is interesting — he published an anniversary note today on Instagram, and it’s worth a read. One of this season’s regular happenings is a perennially angst-inducing rite of autumn, the annual sales update from the University of Texas Press accounting department. I recently received the latest recap, a bottom-line exercise that serves as a yearly reminder of just what a small (nay, tiny) fish I am in this world even though UTP’s number-crunchers are far too polite to put it that way. 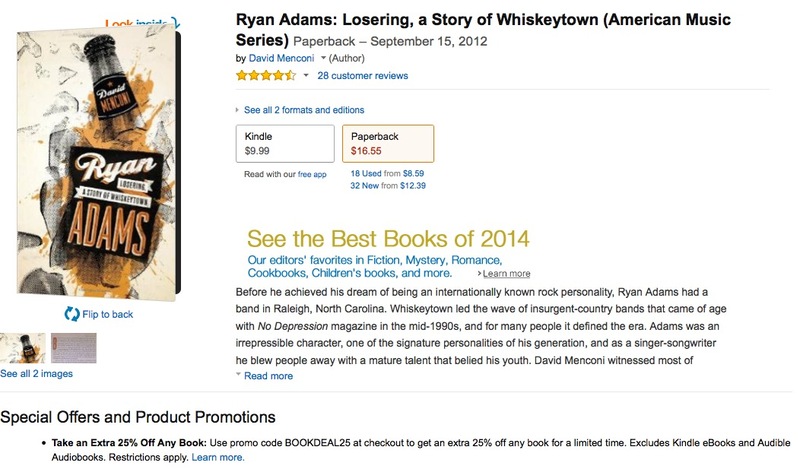 Anyway, “Ryan Adams: Losering, A Story of Whiskeytown” was published in the fall of 2012, which means I’ve been getting these statements for a couple of years now. And while the book has certainly gotten some very nice attention and even sold respectably, for a university-press title, “Losering” hasn’t exactly set the best-seller lists on fire. If current sales trends continue, it will still take another two years or so for the book to “earn out” — generate enough sales income to recoup the (quite modest) advance UT Press paid me to write it, at which point I’ll start getting back-end royalties. The bottom line is, it ain’t never gonna make me rich, although the day may come when it puts a little extra change in my pocket every year. And that’s fine. As I always tell people, don’t write books for money because you will most assuredly be disappointed. As for good reasons to write books, we do it in hopes of getting responses like the one below. 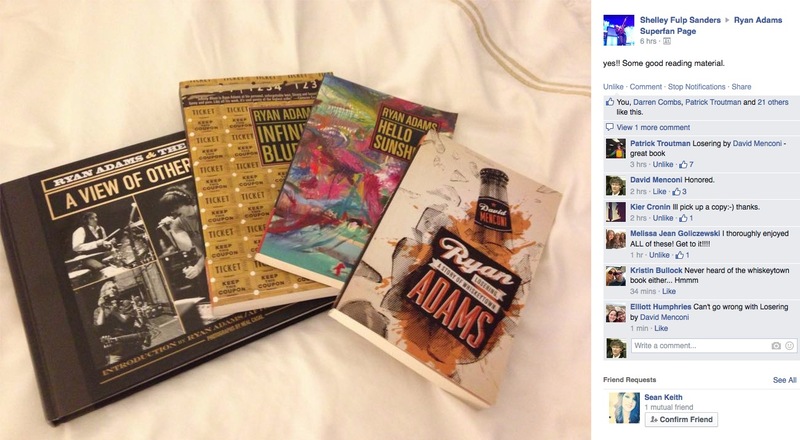 It’s from a fellow Whiskeytown enthusiast named Mark Cermak, who started a thread on the Ryan Adams Archive Facebook page last week to ask whether or not other people had read “Losering” and found it worthwhile. After the usual banter, Mark announced he was going to check it out — and came back with this a couple of days later. It pretty much made my day. So yeah, it’s certainly easy to obsess way too much about the bigger audience I never got to with this book. But to see it resonate so strongly for the people who care the most, that’s the best validation one could ask for. Thank you, Mark, and thank you, world. Following last weekend’s Texas Book Festival triumph, the next “Comin’ Right at Ya” event happens Wednesday evening (Oct. 21) at the closest thing I have to a home court, Quail Ridge Books & Music in Raleigh. 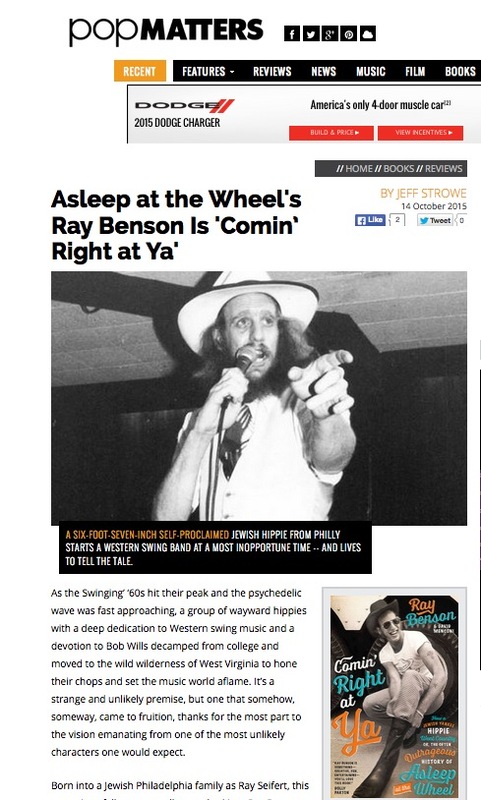 We even got a nice preview blurb about it from the local weekly. 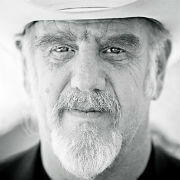 Alas, I’m afraid it will be just me this time without Ray Benson, so there won’t be nearly as much comedy and the only music played will be of the pre-recorded variety. I might read just a bit, but I’m hoping this will be more of a two-way conversation than a one-way presentation. And if you want your book signed, I’ll leave room for Ray’s signature, too, in case you want to get him to sign your copy the next time Asleep at the Wheel plays around these parts. 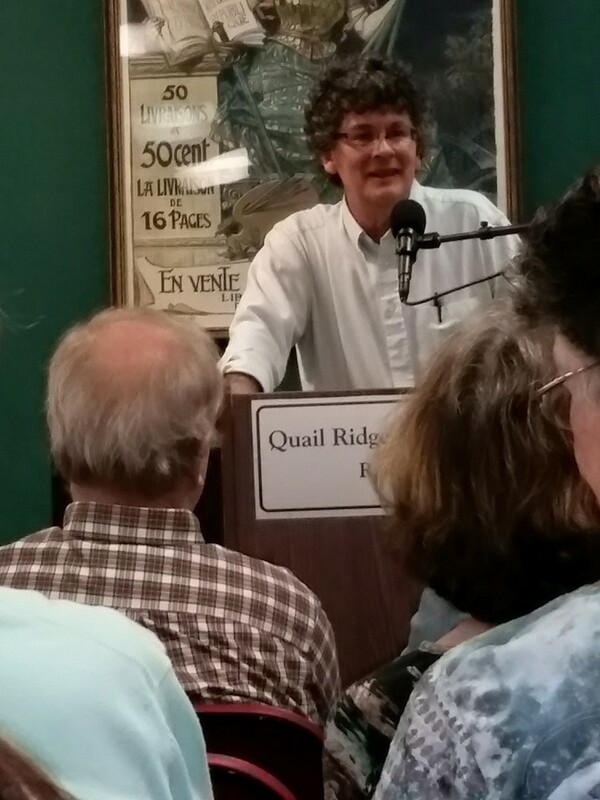 During the “Losering” run back in 2012, the Quail Ridge reading was probably the peak promotional experience, so I’m hoping for a nice turnout. It should get going around 7 p.m. Please do come join the discussion, if you can. It’s a tidy ending for the book, but far from the final chapter for a man who keeps chugging along and following his muse and vows to keep “riding that wave”. 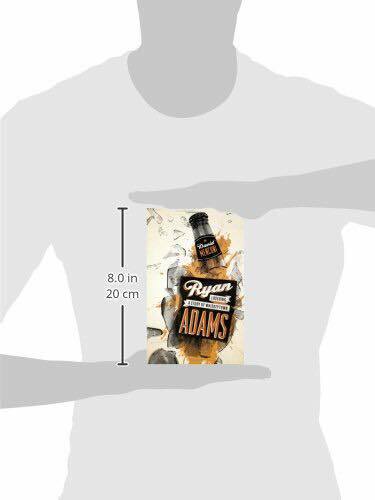 DRA might not appreciate the company in this photo, posted by fellow superfan Shelley Fulp Sanders to the Ryan Adams Superfan Facebook page — but I do. If you’ve read “Losering,” you might remember Thomas O’Keefe — a man I only half-jokingly described as “Whiskeytown’s long-suffering tour manager.” He probably spent more time alongside them in the trenches than anyone else they ever worked with, and hilarious tales aren’t all he came away with. Thomas also amassed quite a pile of Whiskeytown and Ryan Adams mementos that he’s been hanging onto for the past two decades. And as fate would have it, the time to sell some of them off is now, for the very good cause of raising money to help out the family of his late sister (who passed away suddenly in November, leaving behind three children). The auction just opened and will run through Jan. 14 on eBay. Included in this lot of items are laminated and sticky passes to various Whiskeytown shows and tours, one of Ryan’s guitar picks and what Thomas calls “the crown jewel” — his notebook with tour notes, guest lists and such from Whiskeytown’s last leg of Strangers Almanac touring. Gotta say, that one makes this whole package mighty tempting. Anyway, you can scope out details and pictures of it all here. UPDATE (1/14/2015): Below is the winning bid. Have to say, I’m surprised this didn’t come in higher. My estimated over/under figure was $500, so I figured it would go for at least double that $205 price. So a fair quantity of you nice folks out there have taken advantage of my $12 “Losering” holiday special (which is still available! ), and for that I thank you. If you’re more inclined to do your shopping on Amazon, they’ve currently (on Friday, Dec. 12, at least) got a deal that’s almost as good as my holiday-special rate — 25 percent off the hard-copy price on any book. That takes their usual $16.55 price on “Losering” down to about $12.41, which is even less than the $13.37 price of buying it directly from the publisher. As noted in the “Special Offers and Product Promotions” part at the bottom of this illustration on the right, the promo code to use is BOOKDEAL25. So check it out. And while you’re at it, it would also be worth using that discount to pick up this book right here. Meantime, I hope everyone out there is having a wonderful Christmas time this year. At the time he was making his first solo album Heartbreaker in 2000, Ryan Adams was still fully in thrall to Amy Lombardi — who he once told me was “my Anita Pallenberg, the coolest and most beautiful woman I’ve ever met” (a quote that’s in chapter eight of “Losering”). Lombardi was the muse behind many of Ryan’s best songs back then, and Easter eggs about her aren’t too hard to find out there. For example, there’s this photo Lombardi posted a while back to her instagram account, in which she’s wearing a dress that figures prominently into the lyrics of the Heartbreaker song “Don’t Ask for the Water.” Much as I’d like to post that picture here, I shouldn’t. So take a listen to the song below while you cruise over to take a look here. Grammy Award nominations are being announced today, rolled out a few at a time on Twitter this morning before the full list is posted at 2 p.m. Eastern Time — and our man Ryan Adams is already up for two. Ryan Adams has been nominated for Best Rock album, while “Gimme Something Good” has been nominated for Best Rock Song. This marks Ryan’s first multi-nomination year since 2002, when he picked up two nods for 2001’s Gold (Rock Album and Male Rock Vocal) and a third for his contribution to that year’s Hank Williams tribute album Timeless, “Lovesick Blues” (Male Country Vocal). He was also nominated for his 2003 cover of Oasis’ “Wonderwall” in the category of Solo Rock Vocal Performance; and producer Glyn Johns also picked up a nomination for Ryan’s 2011 Ashes & Fire album, as Best Engineered Non-Classical Album. But for all that, Ryan has yet to win a Grammy and I’d say he’s not likely to win this go-round, either, given who he’s up against: Black Keys, Jack White, Beck and Paramore for song; and U2, Tom Petty, Black Keys and Beck for album. Black Keys look like early odds-on favorites in both categories. Ryan Adams might well pick up another nod or two, so I’ll update as events warrant. 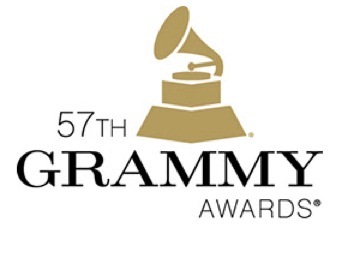 The Grammys will be presented on Feb. 8.